That is why when we take the time to visit our dear loved ones in their homes or in a nursing home, we give them the chance to create meaning in our relationship. However, this process is not one-way, but bidirectional. You also create meaning in your relationship with them. You give them something to look forward to.If you regularly visit your senior loved ones, this would be easy to understand. You would be able to see that every visit you make to them brings a smile to their faces. You are given the chance to create memories with them.They might not have a long time in this world so spending time with them gives you the opportunity to create more memories to look back on before they go. For them, it allows them the chance to make great memories with you, ensuring that they have no regrets in life. Your love and care will remind them of the good things in life.Many old people fall into depressive states thinking they are no longer good for anything, especially when they have debilitating illnesses to add to the old age. Your love, care, and support for them will surely lift them from the darkness they see. As human beings, our need for human interaction and belongingness will never go away. 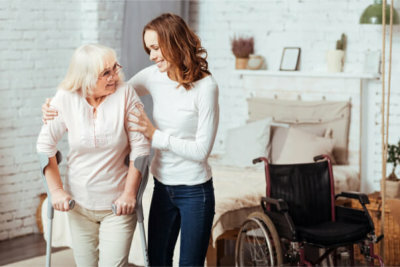 As much as possible, Peachtacular Home Health Care, a provider of Home Health Care in Vancouver, BC, encourages you—whether you are an elderly, a patient, or a family member of either of the two—to spend time with the ones you love as much as you can. With our Home Care Services in Vancouver, we encourage you to show love and compassion to your senior loved ones every chance you get.